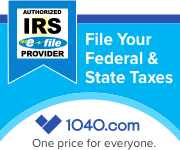 R & J is a tax preparation and IRS representation service provider for your tax needs. We specialize in federal and state income tax returns and also offer many more services to help with your individual and business needs. Our professional staff is always ready to assist you in dealing with tax problems or business issues you may have. We guarantee your satisfaction with our top notch service. R & J has a long trusted history of providing outstanding service for individuals and small business entrepreneurs. R & J started in 1976 with Rosie Leek and Jerry Kobbeman out of the old Alco building in the front corner of the store here in Salina, KS. 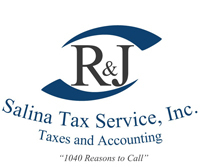 In 1982 R & J Salina Tax Service moved to its current location of 318 W Cloud Street where we continue to do business and grow with our clients. Please feel free to browse our website to view the services we offer as well as the many helpful resources we provide. We are ready to help and encourage you to contact us when you would like to learn more about what we can do for you.